Who doesn't love a polar bear?! 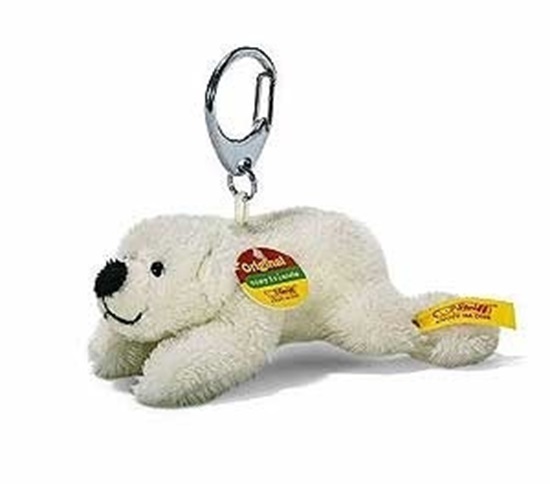 This little polar bear is a perfect companion who can be clipped onto a bag or onto keys to travel everywhere you go. Made from soft woven fur in white and bearing the famous yellow Steiff button in ear.